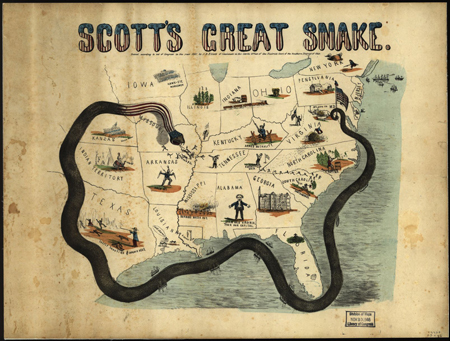 Have students use the primary sources in this set to tell a story about a timeframe from the period 1861-1877 when the United States was wracked by civil war, fighting to preserve the Union and end slavery. This costly war (recent research puts the death toll at 750,000) raged for four years but putting the country back together took much longer. The story may focus on either aspect of this time period and may be in digital or print form. It could be nonfiction, fiction, poetry, or even a song. Click on each thumbnail image below to access the full size primary source. You may also use this primary set for a found poetry activity (click the previous link). Be sure to take a look at the Civil War & Reconstruction timeline as well as associated lesson plans (see below) and more Civil War resources.